A quick view of the most influential metrics in Hanalei. Hanalei, Hawaii is a CDP, census-designated place, in Kaua'i County on the north shore of Kaua'i island. It is a small community that spans less than one square mile, the name hanalei means lei making or crescent bay in the native tongue alluding to the shape of Hanalei Bay and the tradition of making and giving lei's to welcome visitors. The beach at Hanalei Bay was selected as #1 on Stephen Leatherman's Top 10 Beaches list of 2009. The community and the bay have earned a permanent place in popular culture due to repeated appearances and mentions in songs and films including the popular musical "South Pacific," the film "The Descendents," the cult favorite TV series "Twin Peaks" and the song "Hanalei" by the Red Hot Chili Peppers. 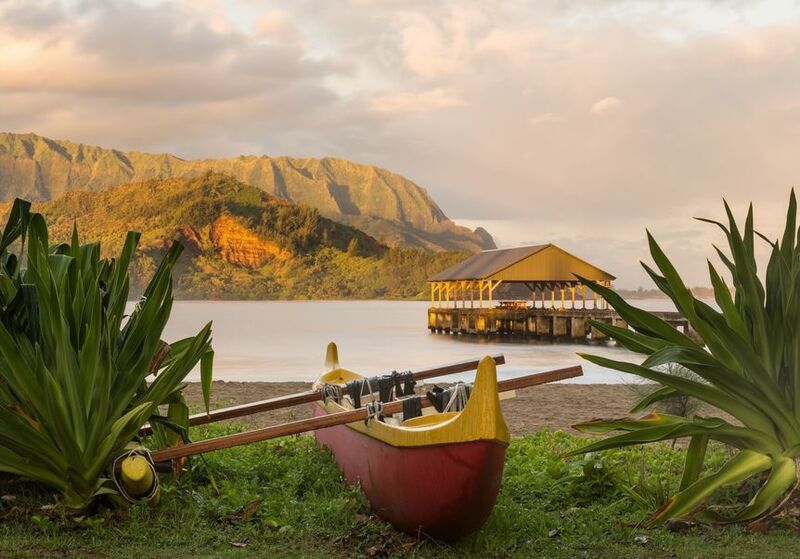 Hanalei Bay is the largest bay on the North Shore of the island and features approximately two miles of sandy beach and the historic Hanalei Pier, which as built in the mid 1800s to help farmers move crops like rice and taro to market. The bay provides excellent mooring for sail boats and the covered end of the pier is perfect for family fun including picnics, fishing and more. The beach and bay are perfect for swimming, paddle boarding and sun bathing. Winter months bring bigger waves to the area making it popular as a surf destination. In April of 1824, a royal yacht, the Pride of Hawaii, sank in the southwest corner of the bay at the mouth of the Wai'oli River. Excavation operations from 1995-2000 recovered more than 1,200 artifacts from the shipwreck for the Smithsonian Institution's National Museum of American History. According to the United States Census of 2000, Hanalei was home to 478 residents spread across 193 households giving the community a population density of 736.7 people per square mile. According to the same census, the median household income was $34,375 and the median family income was $55,750. Hanalei is a small and peaceful community with friendly residents wonderful historic sites, sunny beaches and art galleries filled with native art such as carvings in rare native woods. Education in Hanalei is provided by the Hawai'i Department of Education and includes the Hanalei Elementary School located within the community. Homes for sale include properties from small starter homes up through larger beach homes. Other real estate options include apartments and condominiums aimed toward the tourism industry. Local real estate agents await to assist you in your search for the perfect island home in beautiful Hanalei. View our selection of available properties in the Hanalei area. Check out the latest demographic information available for Hanalei. Browse through the top rated businesses in the most popular categories Hanalei has to offer.